Over 40,000 children in the U.S undergo cancer treatments every year. During this difficult time, these children need more than just medicine; they need emotional support. Carol Cone ON PURPOSE teamed with Aflac and R&D workshop Sproutel to develop My Special Aflac Duck, a social robot duck and comforting companion that is now being given to all of the nearly 16,000 newly-diagnosed children, aged 3-13, in the U.S each year – at no cost to families or hospitals. 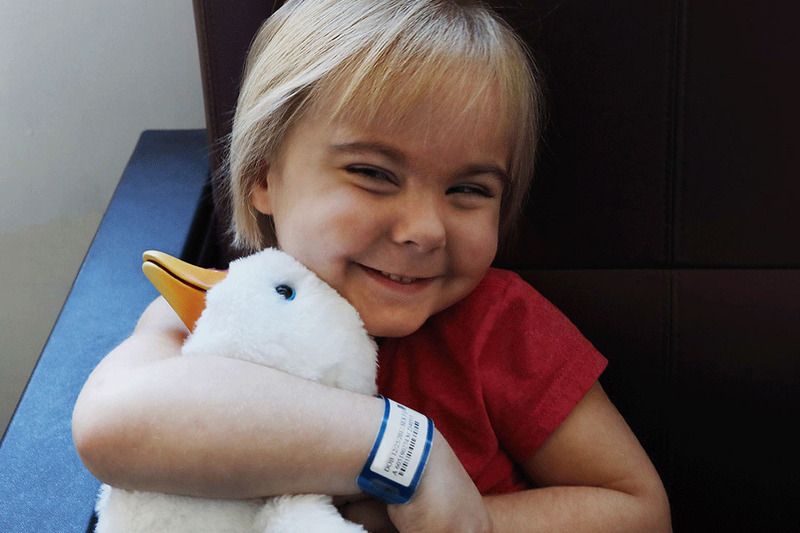 My Special Aflac Duck marks a bold move to infuse a beloved corporate mascot with a true social purpose, to provide comfort to children during critical cancer treatments. Children can perform mock medical procedures on their duck, similar to the ones they are receiving, such as drawing blood, giving IV fluids and even chemotherapy. The duck has 7 RFID enabled emoji cards, each a different emotion, which allows children to choose emotions they would like the duck to reflect. Along with the duck itself, there is a mixed-reality app to further enhance the personalized experience each child has. Children can bathe their duck in a pond via the app, as well as feed their duck. Bathing is a daily necessity for children undergoing cancer treatments to ward off infection, and eating can become more of a task than a joy due to the treatments affecting their appetite. By mirroring these everyday tasks through their duck, children develop positive associations with these activities, while giving them a feeling of control and comfort. Aflac launched My Special Aflac Duck at the 2018 Consumer Electronics Show, winning three awards: Tech for a Better World Innovation Award from the Consumer Technology Association, organizers of CES; Best in Show from MedGadget; and Best in Show for Unexpected Products from Engadget. My Special Aflac Duck has since been awarded a Holmes Report Platinum Sabre for Campaign of the Year and a PRSA Silver Anvil.